Thanksgiving is this Thursday and that means it’s time to get down to business. 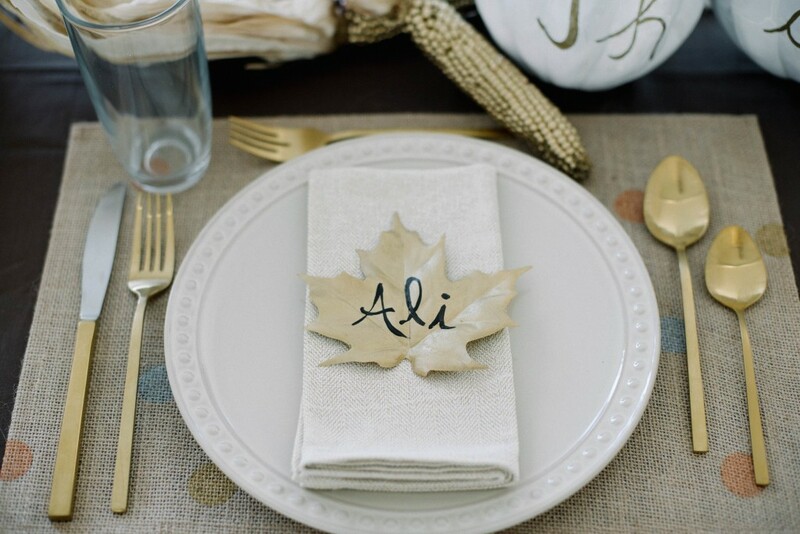 Here are some last-minute Thanksgiving Decorations that are sure to please your guests! DIY No Sew Burlap Table Runner: is a perfect addition to any fall meal but especially Thanksgiving. If you can find this adorable gold polka doted burlap then you are set for sure. Check out the list of supplies below and for instructions Click Here. $5 DIY Thanksgiving Centerpieces: Use up those saved sauce jars, or some left over mason jars cover them in some burlap and fill them with some acorns and pine cones you find around your house and BAM you have this cute DIY Centerpiece. For instructions Click Here and see our supplies list below. Free Thanksgiving Leftover Station Printable’s: If you’re having guests come to thanksgiving that aren’t staying the night this is an adorable addition to any Thanksgiving dinner. 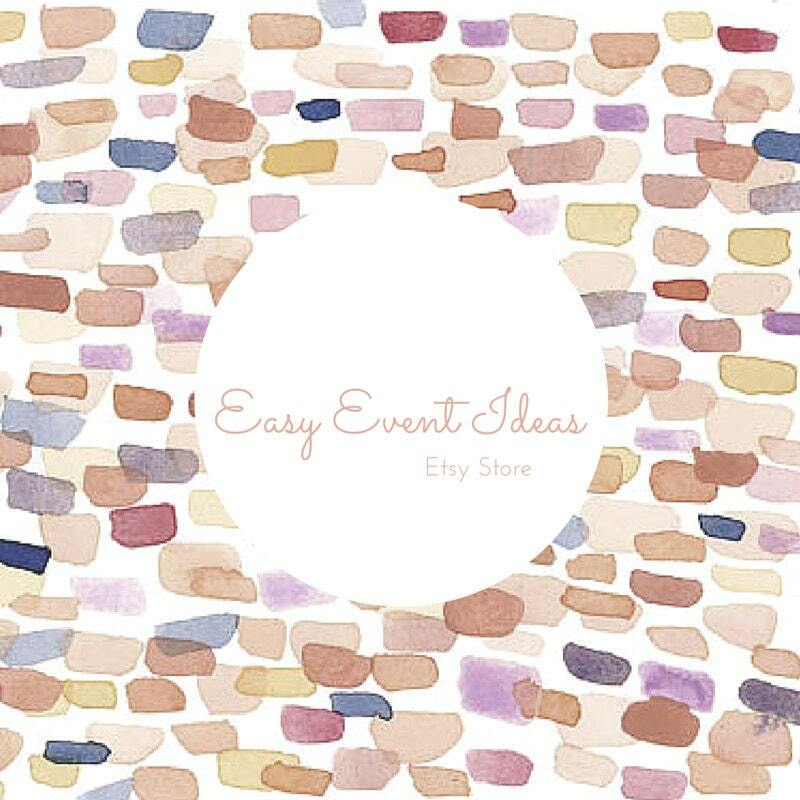 Not to mention there are some free printables! Click Here for directions and see the supply list below. DIY Maple Leaf Roses: These adorable maple leaf roses look amazing as a centerpiece for Thanksgiving. For instructions Click Here and for supplies see below. 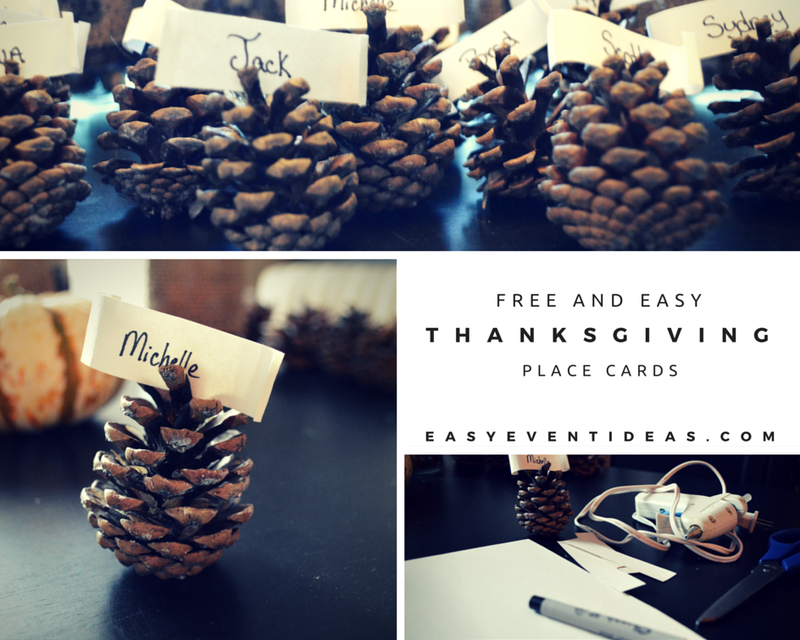 Free and Easy Thanksgiving Place Cards: You can make these cute place cards just by taking some paper and glueing it to a pine cone! How easy is that? For instructions Click Here and see our supplies list below. DIY Gold Leaf Place Cards: These DIY gold leaf place cards are so easy to make and look adorable with a gold themed table scape. If you want to make this adorable place card check out the instructions by Clicking Here and check out the supply list below. 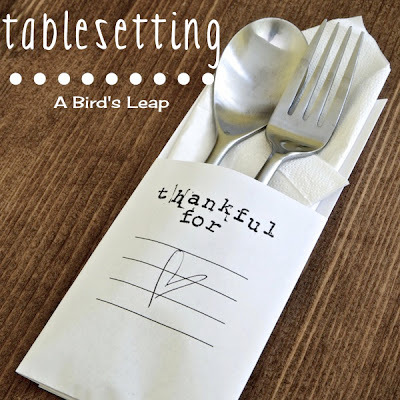 DIY Thanksgiving Silverware Holder: This project just takes a printer some paper and some creative folding! Sooooo easy! For instructions visit their website HERE. The best way to keep kids patient and happy at any long family meal is to give them something to do. Naturally kids aren’t the best at waiting, and they tend to have more time to wait since they don’t eat as much as adults. So if you’re having kids at your Thanksgiving meal it’s good to give them something to entertain themselves. Here are some suggestions for your Thanksgiving Table this year. 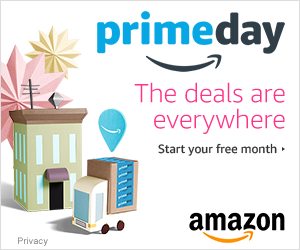 The Container Store recommends having out craft paper and crayons for coloring, having a fun kid friendly snacks out like their Tropical Lemonade Punch and Turkey Treat Snack Mix put together with their turkey tail feather craft. Kid Friendly Placemats put these cute printable placemats out with some colored pencils or crayons for the kids to play with while they wait for their next course. Fun activities for all ages on these and you can easily print them at home with your printer. Display their fruit and veggies in fun kid friendly ways. Click Here for directions on the Veggie Turkey from CBC. 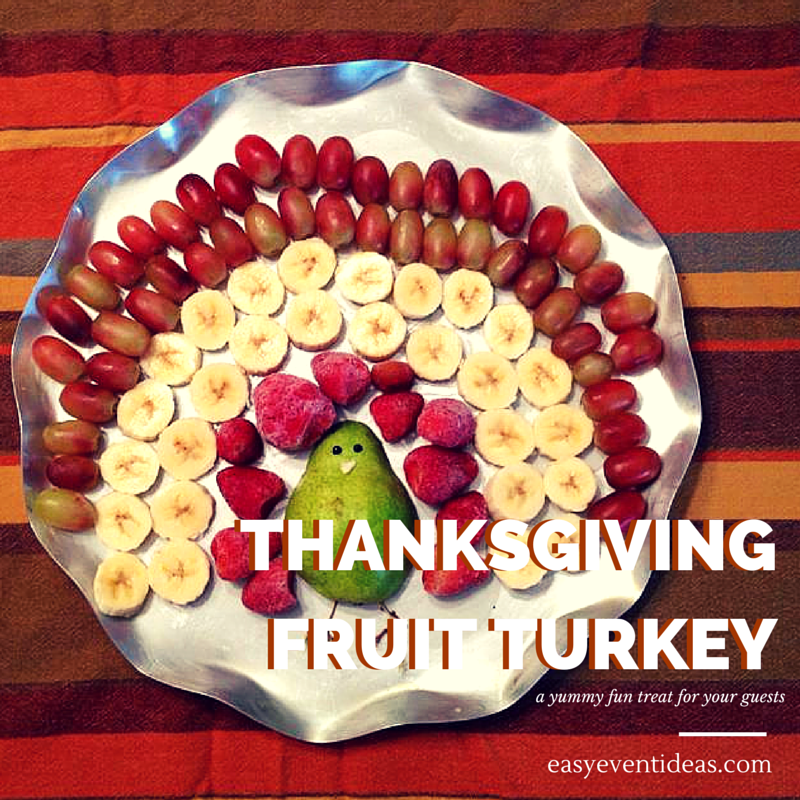 Click Here for directions on how to make the Fruit Turkey that we made a few years ago. p0llkj. What is a penny pit you ask? Well it’s loads of fun with very little work! All you need is some hay and some penny’s and hey if you really wanna go all out throw in some quarters for an extra special treat! To make your pit you designate an area and throw down some hay. Your area doesn’t need to be surrounded with hay you can really use anything to designate your space. Stakes and strings, some fencing, just using a kiddy pool. You can even use sand instead of hay if you need to. After you’ve thrown downs some hay hide some pennies inside and let the kids make easy work of the pit finding the penny’s and keeping their finds! It’s so easy and fun for the kids. You can usually find hay at any home goods store at this time of the year or a local farm. Have fun and enjoy!